Monk: Well, I’ve hit a first in my barbecue blogging experience. Something I had heard dirty rumors of but never thought I would see myself. This past weekend I encountered a modern convenience which has revolutionized home cooking but has no place in a proper barbecue joint. Yep, I’m talking about a microwave. Rudy: Was it at least a dirty microwave that could be considered “seasoned”? Monk: Not even close, guys. 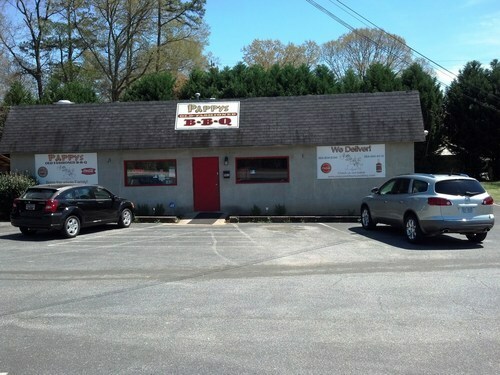 Pappy’s Old Fashioned BBQ started out promising enough. 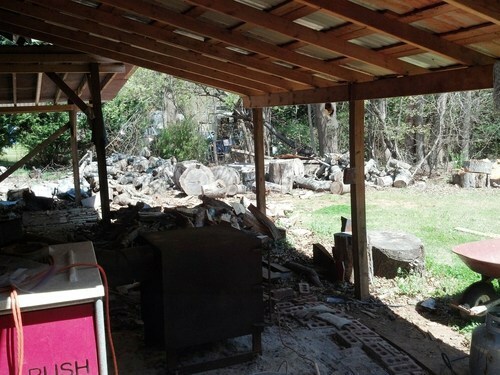 It’s housed in a small roadside shack in Spartanburg, SC with a standalone smokehouse and a sizable woodpile out back. Order at a counter and you’re set. Or at least that’s what I thought. Now to say that it was a slow lunch hour for a Saturday would be an understatement. There was one family who ordered takeout before us but once they left we were the only customers dining in the restaurant. However, for some reason our order took awhile to come out. As I went to refill my sweet tea I noticed one of the owners shoveling barbecue out of a large aluminum pan into a paper boat and warming it in the microwave. And this had to be done 4 times for our group. A few minutes later once our plates were finally brought out to us, I noticed that the warmed over barbecue had good chunks of bark and smokiness but was really dry. I can’t understand why the owners would go the trouble of splitting logs and cooking over wood but storing the barbecue in large aluminum foil pans in the refrigerator. Based on the bark and smokiness, I can only guess that had the moisture and tenderness matched it I would have been impressed. Instead, I could only guess. 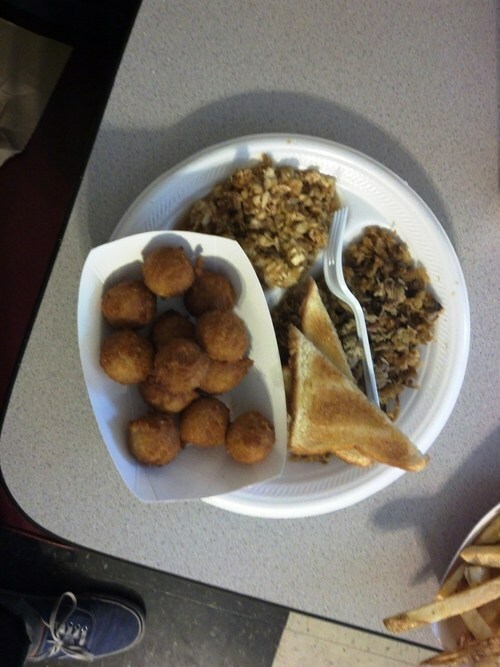 There was a variety of sauces – vinegar, mild sweet, medium hot, and hot – and even that didn’t help too much. Rudy: Any chance the logs and smokehouse were just props to lure in suckers (if so, it worked)? Because I would agree there is no use in going through all that work for just a microwave. 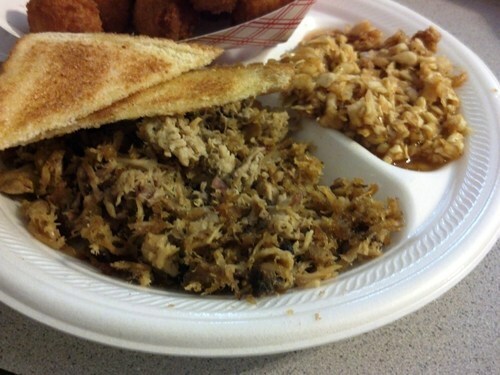 The red slaw was a nice surprise on the menu and was passable. The hush puppies were a favorite of my in-laws, who said it reminded them of a joint called Bob Petty’s Oakwood Drive-In in Greensboro that went out of business many years ago, and I thought they were pretty good myself. There was a “white velvet” cake on the menu that was made that morning, so my curiosity got the best of me and I ordered dessert. It was a decent sheet cake, but I was a little disappointed based on the name. 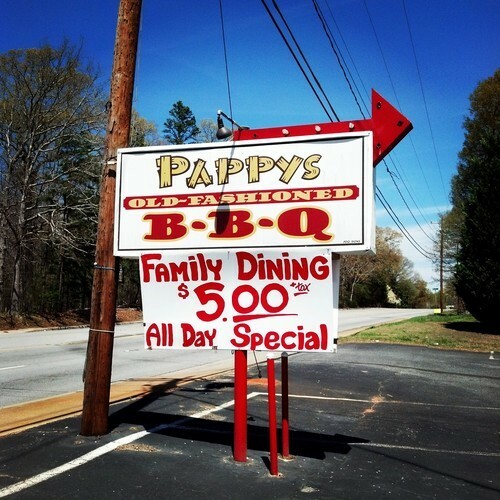 Had Pappy’s Old Fashioned BBQ done some things differently, I could see it being a hidden gem of a joint just off 85 in upstate South Carolina. Too bad that didn’t turn out to be the case. Speedy: I have nothing more to add other than to say the only reason to waste our time on this review is to warn people not to go. A microwave is completely and utterly unacceptable. 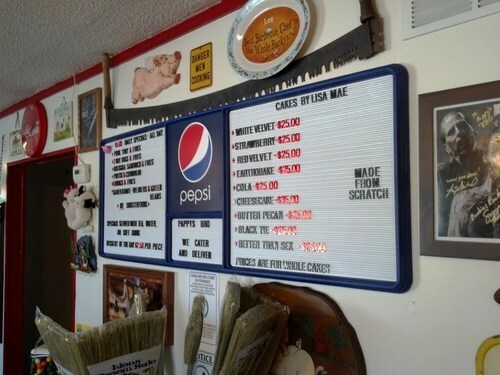 Speedy’s rating: 0 hogs. 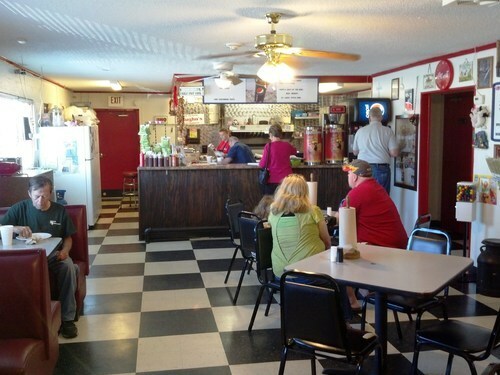 I found this post looking for some stuff about Bob Petty’s, I used to eat there as up until it closed some 30+ years ago. That place would have gotten a great review I am sure. Keep up the good work! 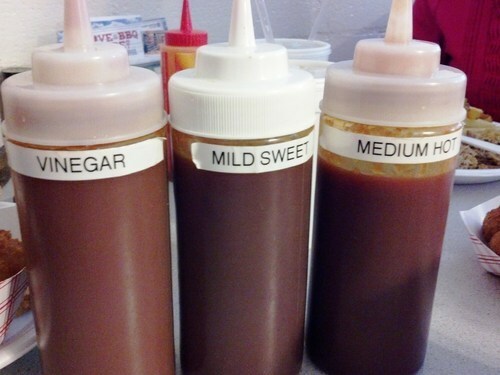 Signed, a true BBQ fan. Thanks Mike! We appreciate the kind words and from what I could tell, I definitely would have liked Bob Petty’s like my in-laws and you did.